This post brought to you by Campbell’s Soup Company . The content and opinions expressed below are that of https://www.thehappierhomemaker.com/. I’m a huge soup fan-especially as the temperatures start to drop this time of year. 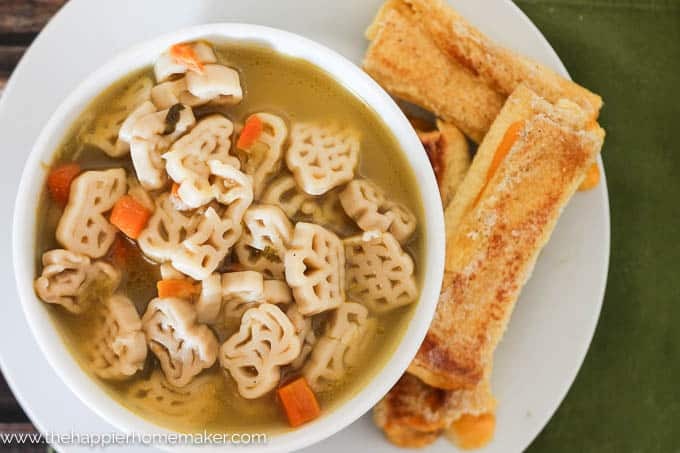 As I’ve been working to improve my eating habits this year however, I’ve become a lot more skeptical about what kinds of soup I’m purchasing, especially for my three boys. 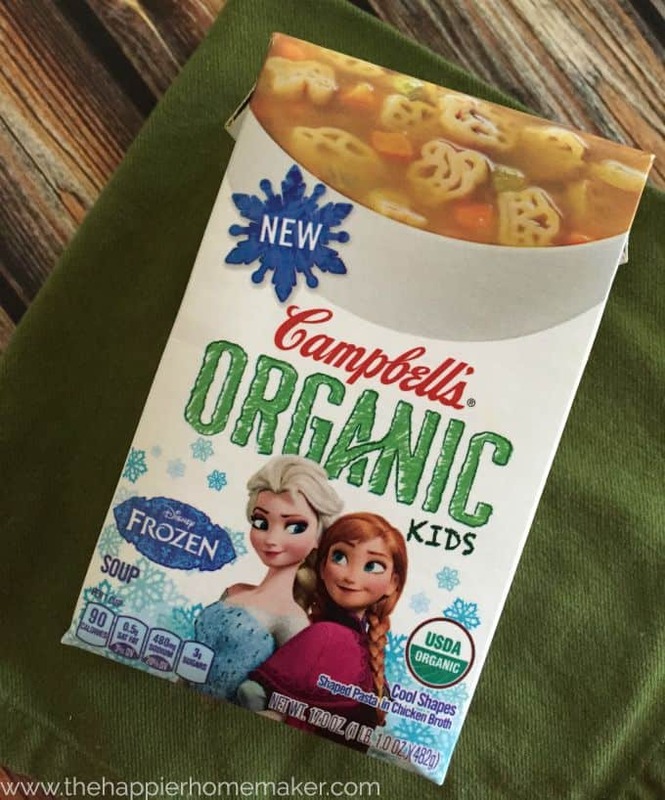 When I saw that Campbell’s® released a new line of Organic Kid’s Soups I had to stock up-they are certified organic and have no preservatives, y’all know I love that! 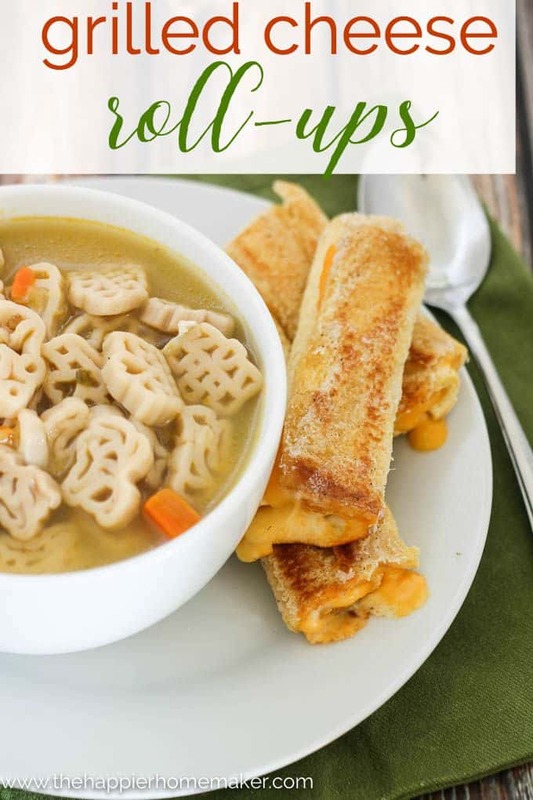 This past weekend we made Grilled Cheese Roll Ups to go with the soup and it was a fast, easy meal that is going to be a weekend staple from now on! The roll ups are super easy to make-simply roll bread flat with a rolling pin (or squash in your hand!) Place the cheese on top and roll tightly. Make sure the cheese isn’t sticking out of the roll up-I had to trim a little of the cheese on mine. Press the bread together at the seam. Heat 2 tablespoons of butter in a skillet over medium high heat and cook the roll ups seam side down. Flip when golden, about 3 minutes. 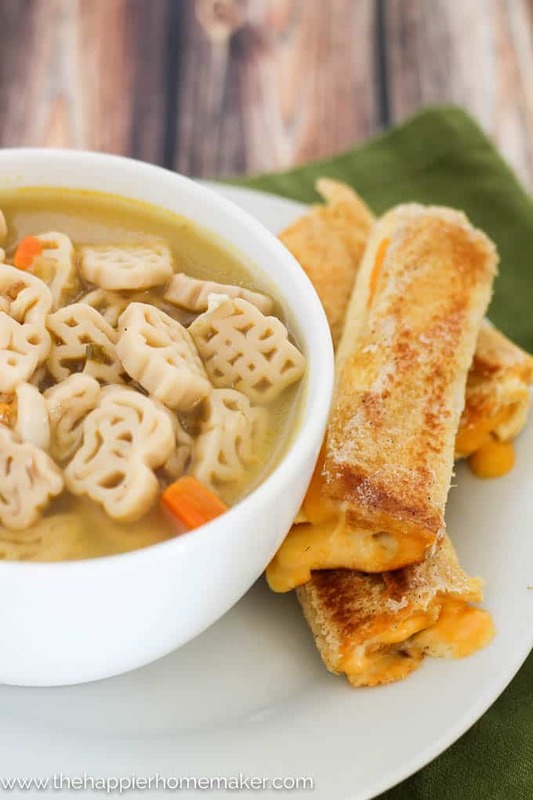 Serve immediately with Campbell’s® Organic Kid’s Soup! Does the cooler weather have you craving soup too? What do you think of the roll ups-I love trying to approach tried and true foods like grilled cheese in new ways! Find more Delicious Campbell recipes on the @Campbells website!